What is a selfie stick? The straight forward answer: How to use a selfie stick? Identify the type of selfie stick you are using. Pair the devices to enable Bluetooth function (or inserting it into the jack). Alternatively, set a timer of Bluetooth function is not available. Use camera apps such as Camera 360 for better overall performance (optional). Extend the selfie stick and adjust the angle based on your needs. It seems simple, doesn’t it? Well, in some cases, it can be really difficult to operate (if not you wouldn’t be here today reading this page). What is included in this page? It certain cases, it is quite hard to understand the instructions stated on the manual (that comes together wtih the selfie stick you bought) because the proficiency of English used is low. This is because most selfie stick products are manufactured in Asian countries (i.e. China). Info: Don’t be shocked to know that the English instructions in some manuals are basically translated from other languages (i.e. Chinese) using Google Translate Application! Note: Knowing that you guys might be having a hard time trying to operate your selfie stick, we decide to create this informational page to help you get going. We will be trying to cover as many aspects as possible in this page (forgive us if we don’t because there are really ample of brands out there). Basically there are two types of devices that we use with a selfie stick – smartphones and cameras. For most selfie sticks (monopods) there should be a screw-like structure at the top of the pole which is where you attached your camera to. Just in case the product is already attached with the phone holder when it arrived, try removing the phone holder from the selfie stick (normally by rotating anticlockwise). Note: Just to warn you, if you can’t remove the phone holder from the pole, most probably your selfie stick isn’t compatible with cameras. Also, when attaching your camera onto the pole, make sure that it fits exactly (sometimes, the screw area on the pole is only compatible with the phone holder that comes with it, not with cameras). If you are really desperate, you can still try to mount your camera (just like how you do it with your smartphone) on the phone holder. This normally works if your camera is small and slim. We don’t recommend doing this, do this at your own risk. Suggestion: If you want to use cameras instead of smartphones for any reason, you should check on the specs of the product (see whether it is compatible with cameras) thoroughly before making your purchase. We do create detailed reviews of selfie stick products to make sure you don’t buy anything wrong. You will have to mount your phone on the extendable phone holder that comes together with the product. Just in case you are not aware, all phone holders (despite of it’s design) are extendable to accommodate phones of various sizes. I will show two main kinds of phone holders (various brands use these two kinds of phone holders unless you are using gopro types of sticks). First kind: You have to extend the phone holder horizontally until your phone fits into it (try to make sure that not more than 25% of your phone is not seated on the black pad). Then, extend the phone holder vertically until your phone fits into it. Now, you have to clip your phone with the orange color pad, try to make it as secure as possible (your phone will not be damaged or scratched even if you press down a little harder because the soft pad will cushion the impact). Second kind: Start off by extending the phone holder and then fitting your phone in between the bottom and the top of the phone holder. Gently release the extended part and the spring will pull both parts (the bottom and the top) together to hold your phone firmly. Note: For both types of phone holder, you are require to tighten the screw after you are happy with the angle of the device to make it stay in place. Precaution: You are advised to remove your phone covers especially if you are using large phones like iPhone 6+ or your phone might not fit perfectly in the phone holder. Update: Recently, I created a lists of selfie stick for users with heavy smartphones, such as iPhone 6 Plus after many readers emailed me for suggestion of selfie sticks that are strong and sturdy for their smartphones. I realized that most (around 75%) of the selfie stick in the market isn’t REALLY compatible with large smartphones although they claimed to be. What do I mean by “isn’t REALLY compatible’? Basically, it is when the pole couldn’t support the weight of your smartphone and it bends a little (or sometimes, a lot) when extended to it’s maximum length. This is dangerous, if it happens to break, you might lose your phone. Besides, some phone holders are weak and brittle, they will crack even on the first day the product arrived. I highly recommend that you check out the best selfie sticks I recommend. I know, you might be facing other problem, such as your selfie stick malfunction, Bluetooth pairing with your smartphone fails or probably just couldn’t get the stick work in the right way. If you are really serious in getting a high quality selfie stick at an affordable price, check out the link above. You will need to download a camera app despite which kinds of selfie stick you use (I will be explaining how to use each kind of selfie stick below). There are tons of camera apps in the Apps Store but the one that I will be recommending to you is the Camera 360 app. Note: Here is a compilation of the best selfie stick apps (there are 11 of them). First: It comes with the timer function which is needed when you are using selfie sticks without any bluetooth system. Second: Some selfie sticks are only compatible with the in-built camera app of famous phone models such as iPhone, Samsung and LG. For other phone models, you will need Camera 360 in order for the bluetooth function to work. Third: Camera 360 has various functions such as photo editing to improve your selfie experience. How to Start Taking a Selfie? There are three types of selfie sticks as mentioned above. Then turn both on again, you should be able to pair them. You should be able to take photos now. If you can’t take any photos although both devices have connected, try downloading Camera 360 app. Once the bluetooth shutter works, you can start taking photos by following the steps stated above under the subtitle “Selfie Stick without Bluetooth Function”, except that you do not need to use a timer, you just need to click the button on the bluetooth shutter. There are basically two types of in-built bluetooth system. The first type uses bluetooth pairing, which means that the procedure to operate it is similar as above (selfie stick with bluetooth shutter/remote) except that the button is on the selfie stick itself. The second type doesn’t use bluetooth pairing. Instead, there is a wire which is inserted to the hole where you insert your earphone. This is much more efficient compared to bluetooth pairing because you do not need to pair devices (pairing can be very frustrating especially when you can’t pair the devices). 2) Bluetooth ran out of battery. Normally bluetooth remotes/in-built selfie sticks that run with batteries are more long-lasting compared to those rechargeable ones. Remember to take along a power bank with you during vacations and it should be fine. 3) Fail to pair up devices. I found out that by switching off your phone and the bluetooth remote for around 5 minutes and then switching them back on might allow you to pair the devices. This is not a 100% guarantee method, but definitely worth to try. 4) Stick does not extend smoothly. I see many people complaining that their selfie sticks do not extend and contract easily. Seriously, this is not a big issue to deal with. Apply grease regularly around the stick and you will see great improvement. If you face any problem with your selfie stick, please share with us at the comment area below so more people get to learn from your experience, thanks! Is your selfie stick working now? If you follow my guide above, you should be able to use your selfie stick right now (excluding those gopro selfie sticks). If you still fail to operate your selfie stick, it means that there is something wrong with the stick. Either you didn’t know enough about the product or the product doesn’t work as advertised. If you are planning to get another selfie stick to replace your current one, you should look for thorough review on each specific product so you won’t make a mistake getting something that doesn’t meet up to your expectations. Like the saying goes, why make a mistake when you can avoid it? Here, in magical selfie stick, we review products from various online store to show you exactly what to expect when you buy that specific product, visit our huge selfie stick review resource page to gain access to our reviews of products. For iPhone 6 Plus users, or those with large phones, I recommend checking out my top 8 best selfie stick list. Where can I get a 100% flawless selfie stick? Sadly, there are no such place where you can get a 100% flawless selfie stick. However, we can help you to choose the best selfie stick that suits you best through our review page as mentioned in the above paragraph. Just help us maintain this totally free website by sharing it out with your friends. We really thank you a lot for sharing it out! Hey, the post is informative? Stay updated to our latest post by subscribing our RSS feed/newsletter. There will be no spams whatsoever, this service is provided by google! What about Selfie Sticks without bluetooth but have a shutter button and a wire that plugs into the headphone jack? Wow! If that’s the case, probably you have bought a faulty selfie stick that doesn’t come with a bluetooth button. We have one like this, too. It’s not faulty, that’s just the way it works. It plugs into the headphone jack and works great for an iPhone but we can’t get it to work with our Android. Hmm… probably it’s because the selfie stick isn’t compatible with android 4.2.2 version. Try to check it out from the dealer if the product is faulty or only works with iPhone by nature. If you are getting the product from Amazon, it is fairly easy to communicate with them. Just leave them a unsatisfactory review (preferably 1 star) and most manufacturer will come back to you in no time. Alternatively, you can check out their specific dealer page in Amazon and send them an inquiry supported and managed by Amazon. If that’s the case, most likely you bought a faulty one. Quickly contact the manufacturer for refund. My selfie sticks button and wire will not work together, it delays and won’t take photos at the right time. Help? That’s a manufacturing defect. Return to the manufacturer for a replacement/refund. I highly recommend that you check out our recommended selfie sticks before making a purchase (we screen through them to remove junks). Is there any way to use the stick with android 4.0.2 ? On most androids you have to go into the camera settings and set it so the shutter will function on volume down. That is the function needed for the selfie to operate properly. The instructions that came with mine says to select the volume key from zoom to camera, but my volume buttons are not what zooms my android. its touch screen that zooms and I still cannot get my Hype Selfie stick with shutter button to work. That’s the problem, the selfie stick isn’t built to be compatible with all types of phones. Try installing Camera 360 and try again. It might work. If that’s the case, I suggest you to ask for a refund from the shop. If you bought from Amazon, it’s easy to get a refund/replace for the product. Just visit your supplier profile in Amazon and contact them via Amazon. It’s not worth it to take the risk because you might break your phone. I have an iPhone 6 and i connected to the bluetooth but when i go on my camera or snapchat and i click the camera button it will not take the photo should i also download camera 360 idk what to do? You should really try downloading Camera 360 because most selfie stick works with Camera 360, not the camera in your phone. This is logical because it standardize the process as any smartphone can install Camera 360. If it still won’t work, I suggest you returning it to Amazon by contacting the supplier via Amazon. Sorry to bother you, but would this work the same on my Nokia Lumia 630? It only has a camera on the back so I was just wondering. If you manage to download Snapchat or Camera 360, standard selfie sticks that come with Bluetooth should work. I have an iPhone 6 and have a Monopod selfie stick. I do not have Bluetooth. PROBLEM: Whenever I take a photo, the camera usually takes 10 or 11 photos, all within a fraction of a second (i.e. the photos all basically look the same). How can I prevent this from happening? I just want ONE photo! By not having a Bluetooth, you mean that you are using timer for your selfies right? Perhaps, it is something got to do with the settings of your phone’s camera? One of the best way is to get something called the belfie stick. This is like normal ordinary selfie stick. The catch here is that the stick is bendable and therefore you can try to position the stick in a way that it wouldn’t be in your picture. Hey, as long as it works for you then it’s great! This article was a complete waste of time. Well, these are just covering the basic problem that selfie stick users might face, if you are looking for some specific information that aren’t included in this guide, feel free to leave a comment, I will try my best to provide an answer. Camera 360 isn’t a very great app on itself. However, the plus side is, a wide range of selfie sticks are compatible with Camera 360. You provided a great article and good Q&A..don’t let mean people bug ya..I have a HYpe..it worked at first and then a couple hours later NOPE..anyone else experiencing this? I am sure many of you are facing the same exact problem. Just look at how many comments on this page complaining that their selfie sticks don’t work. And, if you go by ratio, out of 100 people facing the same problem, only 1 person will leave a comment. So….there are more than 10 comments here complaining the same exact thing. I suggest that you get the recommended selfie stick I reviewed for better experience. They are all pretty strong and durable designed to support large phones. However, they will suitable for lighter, smaller phones too. I dont need to have wifi in order for my bluetooth on my andriod s4 to work with my selfie stick, correct? First of all, I need to know the model of selfie stick you are using. I have a Samsung s5 I got a new selfie stick with the Patriots on it and I can’t get it to work. It worked yesterday when I bought and today it won’t. I tried it my phone on my daughters and it works. Is it my phone settings? help! Sorry for the delayed reply. Perhaps it’s the settings that went wrong. Try resetting your phone and see how it goes. Also, by not working, you mean the bluetooth button doesn’t work? Hey… I have a selfie stick wid a shutter button at the end of the stick n a wire dat gets attached to the phone frm where we attach the headphones… My mobile gets connected to it but do not click pictures rather it starts playing a song wen u click on the button… How can I fix this.? Are you in the camera interface? If you are in the camera interface, you should be able to snap a picture. If you fail to do so, try to install the Camera 360 app or Snapchat. If you still fail to take a picture, contact the manufacturer for a refund. Even after resetting your phone? If that’s the case, I think you should return it to the manufacturer or contact them if there are special ways to get things done. Doesn’t work on which phone? And, does your selfie stick comes with button or what? Using timer can be a manual alternative if your bluetooth button is not working. pls wat do I do? I have a selfie stick but it doesn’t work on my camera360,just work to the built in camera. ..how to work with it through camera360. .. If that’s the case, then you will go with your normal camera because there is basically no way to configure how the selfie stick works. If you really want to use it with a camera app, I suggest trying out Snapchat and see if it will work. Hi I brought a selfie stick just yesterday and it was fine and taking pictures but today when I tried again it would snap any photos on my iPhone. I believe the cord connecting it isn’t a problem. I believe its the actual camera shoot button that’s the problem. Is there anyway I can fix this? Sorry, but may I know what do you mean by it will snap any photos on your iPhone? I bought a new selfie stick by fine life audio products. I am able to pair it but I can’t take pictures with my iPhone 6plus only my iPhone 4. How can I get it to work on my 6?? Sometimes, these selfie sticks aren’t built to be compatible with latest versions, especially if the manufacturer didn’t mention it. I suggest you get the top selfie sticks I recommend for iPHone 6 Plus user. Hey! first of thanks for all advices and infos given here. It really helped. Glad you find the info useful. Hmmm, meaning to say, you couldn’t control your phone’s camera button right? Try installing an app like Camera 360 or Snapchat, then retry the whole process. If it doesn’t work, returning it will be good. The selfie stick can’t be extended? I guess you received a faulty one. Try considering higher quality selfie sticks as they often save a lot for you down the road. Hi, I bought a selfie stick monopod with the button on the stick and found out it won’t work with my Microsoft lumia 535 but it works fine on my cousins iPhone mine connects but when ibgo on the camera it disconnects itself help? Meaning to say it works fine with iPhone, or there is still a problem with iPhone? Installing Snap Chat or Camera 360 might help. IF you can’t solve the problem, returning it to the manufacturer will be your best bet. Hi! My selfie stick did not work with several Chinese phones. When I contacted one supplier of them, he said that MTK platforms do not support selfie sticks. Do you have any tips for that ? Which platforms do exactly not support selfie sticks ? Sadly, I have not much experience with MTK platforms. Do MTK platforms allow you to download apps? If yes, you should try Camera 360 or Snapchat. It might work. Does selfie stick work on blackberry phones especially BlackBerry Q10? That’s a good question. Normally, it will work if you install third party camera app such as Camera 360 or Snapchat. hello,i have qmobile ling L10 with android 4.4.2.I installled camera 360.kindly tell me what should i do so that the selfie stick works. 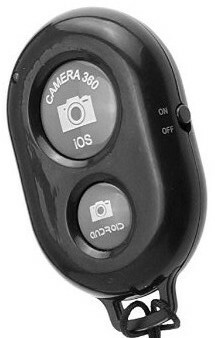 After installing Camera 360, try opening the app and press the bluetooth button on the selfie stick (or on a remote). See if you can take a picture. I have bought a Selfie Stick Monopod. The Product code is CAMSELFIE-STICKR-B-87550D7EFC53C. Please let me know how to operate that. Also, tell me if it is compatible with Mi4i Android mobile. Thanks in advance. Hey I have Sony xperia with Android 5.0 version. I have downloaded camera 360 app for my selfie stick. the Bluetooth is getting paired but the shutter Button on Bluetooth shutter isn’t working. why could it be? Are you using Camera 360 interface? If you are using then it shouldn’t be any problem unless it’s defective. why is that so? Maybe try to reconnect the bluetooth by restarting your phone. I have all connected and was able to take the selfie picture. But it will not let me download to FB, TW or any social media? After taking the selfies, where do you save all the pictures? By the way, which model are you using? I have recently purchased a selfie stick but it doesn’t work with my Doogee DG800 phone. Whenever I push the button on the stick, it starts playing a song from my playlist but no photo taken. Android 4.4.2. Yeah, that’s the problem. The code used in the selfie stick isn’t compatible with some of the smartphones out there. The best way is to install Camera 360/Snapchat and use these interface to take your selfies. In most cases, it will work. I just bought a selfie stick and the screw doesnt work and doesnt tighten it just falls and i dont know if theres a way to fix it or not please help! I guess there is no way of fixing that unless you try to tighten the area somehow. If I am you, I will just ask for a replacement. If this selfie stick is bought from Amazon, I guarantee you will get a refund. Does a selfie stick work with a Android galaxy s? This phone does not have a front facing camera.all i really need to know is if a selfie stick is compatible with a phone that does not have a front facing camera? Yes, as long as the android version is updated. I took videos with my selfie stick. Used a galaxy s4 edge and hooked the cord that came with the selfie into the phone’s headphone area on the bottom. Videos recorded but with no audio. How canice I recover the audio? Is it because you muted the sound somehow? I don’t think there are ways to recover the audio, unfortunately. Selfie stick with built in auxiliary remote. I hooked the phone with the wire on head. Have the rechargeable power bank fully charged. But apparently there’s no power in the stick to take pics. What good is power charger and why wont button on stick take pic? What phone are you using? Sometimes the bluetooth isn’t compatible with every types of phone models. Try installing Camera 360 and see if it works. I have a bluetooth one but with no on switch at the bottom, what am i doing wrong??? Perhaps it’s naturally on. If it doesn’t work, send it back for a refund/replacement. Amazon will refund you your money, no worries. Is it originally without a button or is it a defect? Sometimes those products listed on Amazon (or even other marketplaces) have bad descriptions. I suggest you to check out my ultimate guide buying guide as I list down every specifications of the selfie sticks I recommend. Will You Help Me for Using Selfie Stick In Xperia T2 Ultra Dual? You have to tell me exactly what’s the problem you are facing. That’s hard to say. Email the manufacturer and see what they say. You have a great site and you have a lot of patience. Just bought a stick on the market in Ventimigla. Italy. 4€, it did not work! I read you description, to switch on the Bluetooth, even so the stick has a wire and a plug. Now it’s working like a dream. Bravo for people like you have patience to answer all kind of …… Questions. No problem! Hopefully the advises above (and those in the comment sections) help solve your problem. I can’t really tell you how to do it because I can’t see what’s happening. Just play around and try to logically fit it together. I just purchased this selfie stick for my Samsung 4. No instructions in the box. I charged it and now a blue light is flashing on the stick. How do I turn it off. Also, when I try to take a picture nothing happens. Help. Have you pair the Bluetooth to your phone? If yes, try downloading any Camera apps such as Camera 360 and see if it works then. the selfie stick is not compatible with your phone. Hi, I have a Wifi action camera, and I bought a bluetooth selfie Stick. Is there any way of connecting each other? Not all selfie sticks are compatible with Cameras. Try pairing the devices together but it’s not necessarily going to work. Wow.. Now this conversation really helped. Downloaded the selfie shop camera and my selfie stick does work now.. Sometimes it’s just how the selfie stick is formatted. It might not be compatible across all apps. I HAVE CONNECT SELFISTICK IN MY MOBILE LALVA GRANX1 BUT NOT CAPTURE IN CAMERA HELP.. Try installing camera apps. Your selfie stick might be compatible with the camera app. My selfie stick won’t charge properly. I tried fully charging it but the blue light won’t turn on. Is there a problem with the selfie stick? Yeah, most likely it’s a defect selfie stick. Return it and ask for a refund. Elaborate more on the problem or else it’s hard for me to try to assist you. Try downloading camera apps like Camera 360 or Snapchat. It works. My selfie stick brand is Monopod with a remote control.The phone Samsung s5 Mini is not recognizing the remote. it is not listed in the bluetooth devices list. What do I do? Try to refresh your phone by switching it off and on. Normally, Samsung shouldn’t face bluetooth pairing problem. Hi, I am using HTC 826 and I am unable to take selfie using the app via wired selfie stick. So please let me know what are the settings to be performed to take the snap using my selfie stick. In volume settings changed to capture but then also I am unable to take photos. Any other settings required? , so I can’t able to pair my device. Is there any solution for that?? I would highly suggest you to return it back for a refund. Try installing selfie stick apps and take pictures from there. You will most likely get it to work by installing Camera 360 app or other camera apps. Check out this list of best selfie stick apps. my phone has the newer version of blue tooth!!!!!!! But that’s the problem .I bought the stick from amazon for my older smart phone that used normal bluetooth. but after using it for three years i lost the phone in a train and had to buy a new one. pleeeeaseee give me my solution. i trust you soooo much. If that’s the case you got no choice but to get a new one because selfie sticks don’t really allow you to upgrade the Bluetooth system. Btw, thanks for reading up the blog! Most famous brands are compatible with most selfie sticks out there. I would say iPhone and Samsung are two brands that are compatible with many selfie stick brands out there. MagicalSelfieStick is a participant in the Amazon Services LLC Associates Program, an affiliate advertising program designed to provide a means for sites to earn advertising fees by advertising and linking to Amazon.com.